A large bull elk bugles as the harem he has collected moves towards the trees of Horseshoe Park. 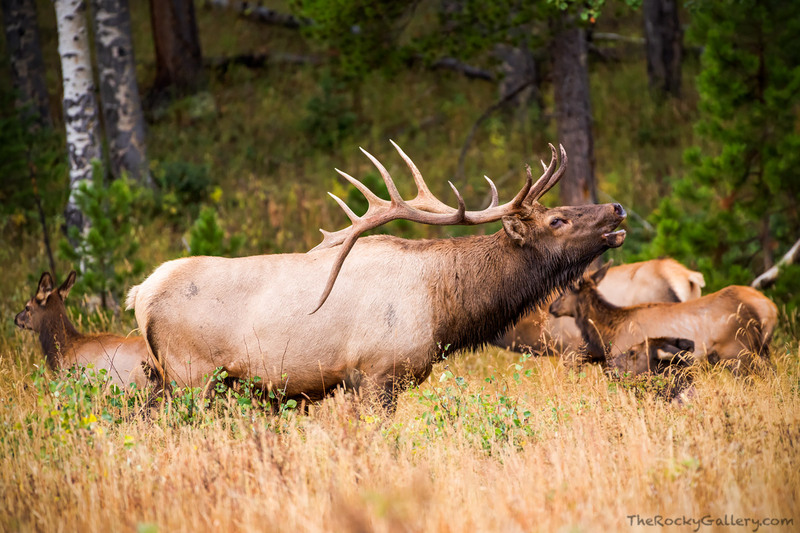 This scene is repeated daily during the elk rut in the fall season each year in Rocky Mountain National Park. Photo © copyright by Thomas Mangan.